Are councils really cracking down on rogue landlords? Following the UK Government’s £2 million fund to help local councils crackdown on rogue landlords, there has been an increase in the number of reports on fines issued against landlords failing to provide accommodation to the right standard. However, some people are asking if this increase in reports truly reflects of a tougher enforcement stance, or is it simply a case that the instances of when a council does take action are being more widely reported? The government’s new rogue landlord fund is still a relatively new development, it was approved in November 2018 and confirmed in January 2019. Since that time there have been numerous reports of councils following up on tenant complaints and prosecuting the landlords responsible, where they failed to adhere to the official warnings. However, it can take months for civil penalties to be processed and issued, which suggest that some local councils were already beginning to act on the stronger powers they were handed to act against rogue landlords in 2017. 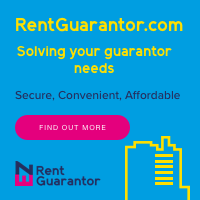 A quick internet search reveals that, according to landlordtoday.co.uk there have been three reported instances of rogue landlord fines in the first few weeks of 2019. In addition, there were eight reported civil penalties brought against landlords in the final three months of 2018. These fines have been issued by a variety of local councils and suggest that although there were likely many more complaints than those few, some authorities were clearly already beginning to act in some cases. It also implies that now there is even more support for local councils to follow up on this issue, that there could be many more cases as the year goes on. Of course, there is always the possibility that given the increased government interest in rogue landlords operating in the private rental sector, that the media is simply showing more interest too. However, reports from two local areas in Coventry and Devonshire, suggest that isn’t the case. Those articles show that, following figures obtained through Freedom of Information requests and despite numerous complaints against landlords, no prosecutions or fines were issued in Coventry over a 12 month period, while only one fine was imposed in Devonshire. While this only represents two regions, given the increase in reports on fines being issued, it’s likely that in most cases, that increase in news coverage is a positive and true reflective of a firmer hand being taken against landlords who fail to provide a rental home, to the standards required in the UK. And, if the higher number of news reports on action taken against rogue landlords is a true reflection of what’s really happening, then, at some point, it’s possible that the number of major fines and landlord rule breaches could slowdown. That’s a likely outcome as it becomes clear that the government and local councils are no longer willing to sit by and allow serious rule breaking in the sector to pass without intervention and penalties, where necessary. If that is the case and standards in the PRS improve, with truly rogue landlords weeded out and removed from the sector, that will result in a better situation for the growing number of PRS tenants across the UK.